I made this Food Network recipe last summer and didn’t take any photos of it once I put it in the crockpot. Well, I took one photo of it. But that photo is terrifying. The meat was falling apart when I took it out, and while the meal was delicious it was not cute. 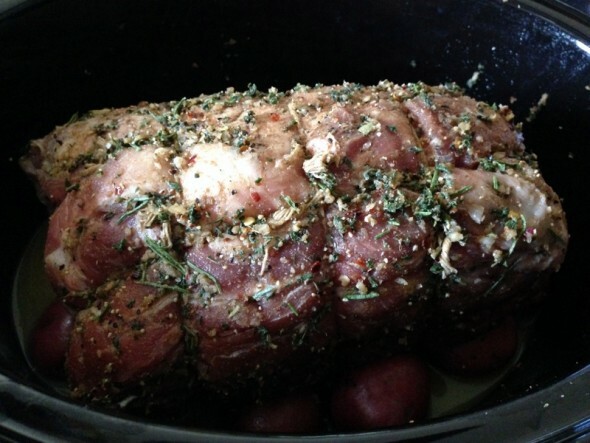 I think I used a different kind of pork roast, and if I make this again I will use exactly what the recipe calls for. I just had a random pork roast in my freezer (what, you don’t? ), so I used that. Also, I skipped the rutabaga. I really set this recipe up well, didn’t I? Falling apart, hideous photos, no rutabaga. Bet you can’t wait to try it. I promise, though, it was tasty. Mix 2 tablespoons salt, 1 teaspoon pepper, the coriander, red pepper flakes, sage, thyme, rosemary, bay leaf and garlic in a food processor and pulse to make a paste. Stab the pork all over with a paring knife and rub with the spice paste. Tie the roast with kitchen twine so it keeps its shape mine was already tied, I’m pretty fancy like that). 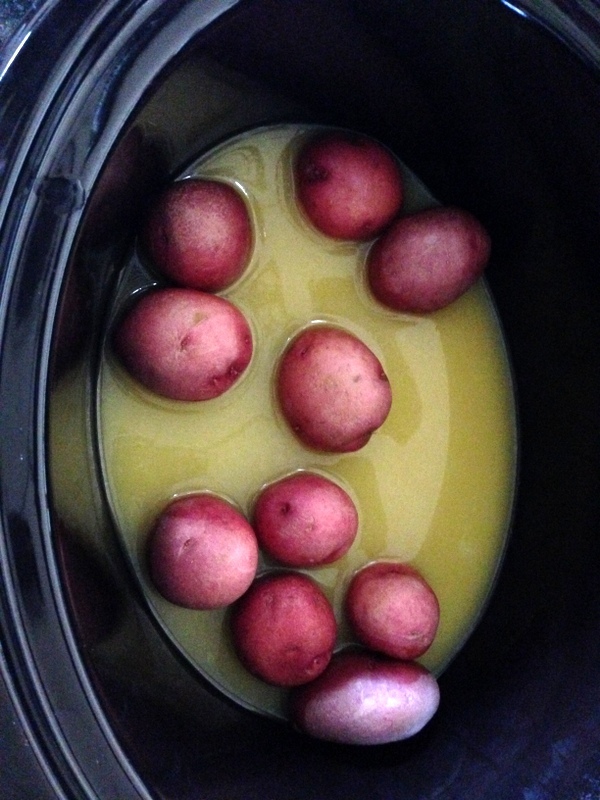 Put the juice of 1 orange and 1 lemon along with the chicken broth, potatoes and rutabaga in the slow cooker. Add the meat. Cover and cook on high, 7 1/2 hours. Transfer the meat to a cutting board; cover with foil and set aside. 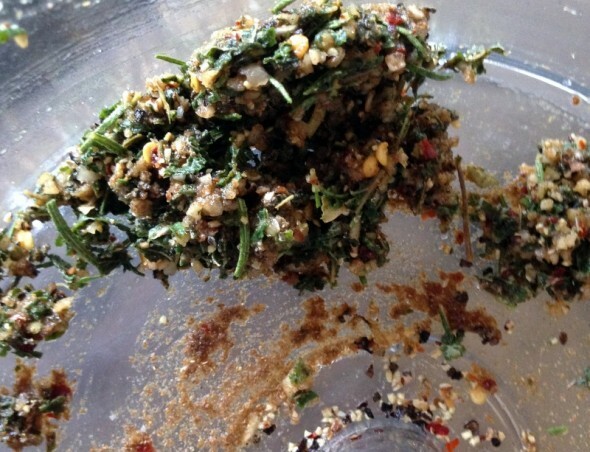 Skim off the fat from the cooking liquid. Add the tomatoes, sugar and the juice of the remaining orange and lemon to the slow cooker; cover and cook on high, 30 more minutes. Stir in the mint just before serving. Remove the twine from the pork and slice. Serve with the vegetables and cooking liquid.